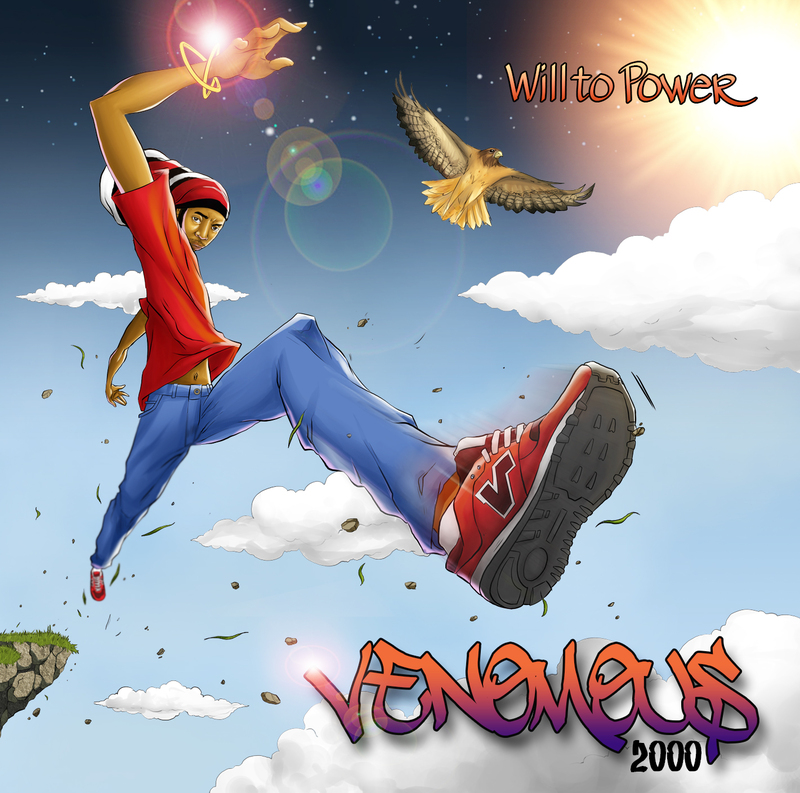 WILL to POWER” Is Venomous2000’s 9th solo full length album/project. The meaning behind the name of this particular project derives from his personal belief in the Human ability to achieve great things. He felt that this album should focus on integrity, ambition, strength, wisdom, skill, and achievement. Every day we are faced with life challenges and make choices to allow these obstacles to stifle or invigorate our self development. This album is a call to all listening, to step up, wake up, and contribute to this life experience with your very best energy! Venomous wants people to walk away feeling like they’ve added something to their lives, and can then share that ‘thing’ with others. We feel blessed and fortunate to be able to share his artistic views with fans of all walks of life. Venomous2000 “Will To Power” CD’S by clicking here. T-Shirts available by clicking here. Venomous2000 is also in the process of putting together his 2nd Solo European Tour! The tour kicks off in Germany and will include travels to United Kingdom, Czech Republic, France, and Serbia! HELP VENOMOUS2000 GET OUT TO EUROPE! ANYTHING AND EVERYTHING WILL BE GREATLY APPRECIATED.